More rampaging monsters than a children's beauty pageant. 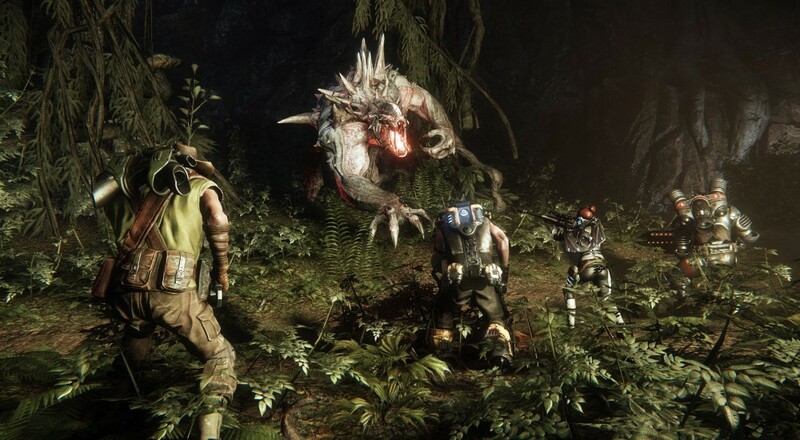 Just when you thought you'd heard the last of Turtle Rock's latest effort, information about Evolve's Ultimate Edition slams straight into your consciousness, not unlike a howling, murderous behemoth. Intrepid Twitter user, @Wario64, spotted the PlayStation 4 and Xbox One versions on Amazon, as you can see below. 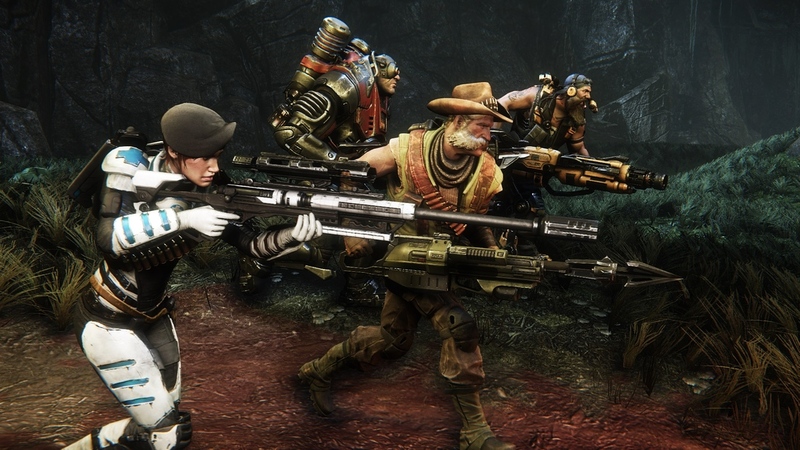 Evolve launched in its base form in February of this year and, while some folks quite enjoyed its four player online co-op, the player base quickly dropped off over the following months. This Ultimate Edition, which will likely contain a good number of the game's DLC packages, is an attempt to thrust the game back into the fore of public consciousness. That said, it's also a terrific chance for those who couldn't be persuaded to pick Evolve up on the first go around to sink their metaphorical claws into a slew of new content. With any luck, it'll also revive the co-op player base for those who can't get a full squad together at the drop of a hat. Evolve's publisher, 2K Games, has yet to discuss or remove the listing, but we'll be sure to update the story with any new information. In the meantime, how about you check out our impressions and stream of the first DLC pack to see if the Ultimate Edition is enough to draw you back in?